While thinking about the CDS model in general and the Greek situation in particular, I realized that I left out a key variable from my previous analysis: Net Debt Interest Payments. This variable should be very useful, as it implicitly measures net debt as well as the part of the deficit that isn’t changed by fiscal policy. It also measures interest rates in the previous time period, so the information content contains last year’s CDS prices as well. While using data on which countries were considered at risk last year’s will give us a good idea of which countries are at risk this year, it only helps so much because it doesn’t explain why the country was in trouble in the first place. However, this is a good example of Soros’s theory of economic reflexivity. Countries that the markets see as having problems have to pay higher interest payments, making their fundamentals deteriorate further, which in turn drives interest rates even higher. It will be interesting to see how Greece breaks out of this vicious cycle. Garett Jones had a very interesting econtalk with Russ Roberts. He mentions that one the more interesting features of this recession is that productivity has been pro-cyclical rather than counter cyclical. The graph below shows that during recessions productivity has generally gone down. In order to understand the significance of counter-cyclical productivity, I looked at a paper published in October 2000 by the Federal Reserve called Why is Productivity Procyclical? Why Do We Care? by John G. Fernald and Susanto Basu. They analyze the four main reasons why productivity is usually procyclical. Procyclical technological development, where new technologies are invented during the boom rather than the bust. Imperfect competition and increasing returns means that when the economy is doing well then productivity is rising. Capital and labor are utilized more than is actually reported during a boom and less than is reported during a bust, so the procyclical productivity doesn’t actually exist but is caused by cyclical measurement problems. The reallocation of resources across uses, so as cyclical sectors with higher markups utilize a larger percentage of resources productivity goes up. The study found that explanations #3 and #4 are the most important. If the recent boom and bust cycles were not quite as procyclical as before, it could be due to many reasons. Better measurement of labor and capital. More firm specific capital creation in an increasingly globalized world. Two and three are the most convincing. However, just because productivity doesn’t drop during recessions doesn’t mean that productivity is now countercyclical. 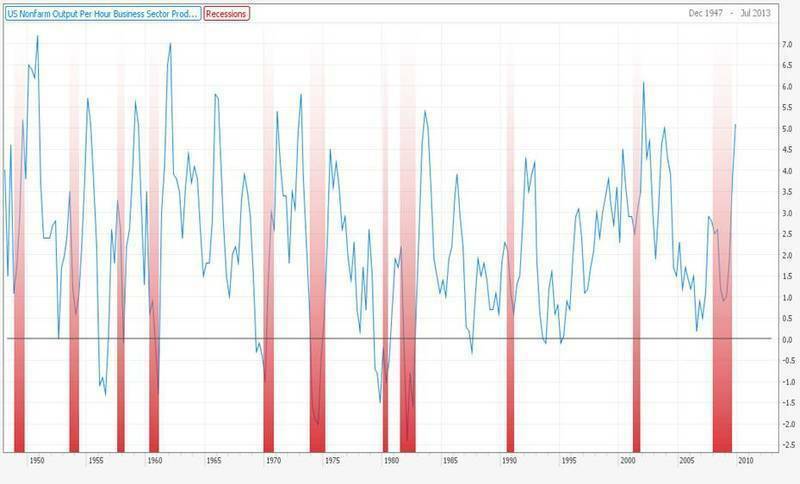 The relationship has merely weakened somewhat from the 1990’s onward, as this rolling ten year correlation between quarter on quarter changes in real GDP and nonfarm business output per hour demonstrates. First I’d like to make a few comments on this amusing video. My favorite line is when Joe Biden prays to God. I didn’t know that politicians talk to God in the same dishonest way they talk to voters. Bloggers on the right and on the left who think the other party is a bunch of lying weasels are half right. They are a bunch of lying weasels. But so is their own party, which they somehow overlook. Above the fray independents have the right attitude toward most politicians of both parties—contempt. BTW, in my view Bush was right and the Dems were wrong in 2005, and Obama is right and the GOP is wrong today. The filibuster makes no sense. Indeed I’d like to see a parliamentary system in this country, where something like the German Free Democrats was in the center, determining what got done. Some people seem to believe the filibuster favors small government, but I find that unlikely. Size of government is just as likely to shrink as to grow, otherwise government would head toward 100% of the economy in the long run. So in the steady state there will be equal number of proposals to shrink government as to expand government. When 59 people disagree with 41, the 59 are more likely to be right. If they were more likely to be wrong, we ought not have democracy at all. His first paragraph is actually spot on. Most partisan squabbles consist of pots calling kettles black. People fail to recognize this for various reasons, perhaps because politics is a mind killer. The second paragraph where he asserts that the size of government is just as likely to shrink as grow is where he goes wrong. While federal government expenditures have remained at a pretty constant percent of GDP, there is a pretty clear upward trend when the outliers of the world wars are excluded. The conservative revolution that started with Reagan in the 1980’s is interesting not because government shrank (Bill Clinton and his republican congress did see total government spending shrink by about 3% of GDP), but because throughout that time period government remained pretty constant as a percent of GDP. While federal government spending as a percent of GDP might have been more constant than total government spending, their partial funding of joint programs with the states has encouraged the large increases in state level spending. Furthermore, a steady state government wouldn’t be growing at the same rate as the general economy. Assuming zero efficient gains, it would grow with population and with wages. If the government took care of the same tasks and had even slight productivity gains, its size relative to GDP would shrink as the rest of the economy grew so the mere fact that it is keeping track with GDP spending suggests that government has a tendency to grow instead of shrink. Outside of pointing out the empirical trend of increases in government spending, there are very clear public choice reasons as to why new programs will generally lead to more spending. In this regard, Bryan Caplan asks a very interesting leading “extra credit” question that almost answers itself. Suppose you had a billion dollars to spend in Washington to advance liberty. What's the biggest libertarian policy reform your billion could buy? How precisely should you spread your money around? Remember: Many obvious strategies would lead to bad publicity and serious pushback. Your answer should take account of this feedback. Extra credit: Suppose you had a billion dollars to spend in Washington to advance statism. How does the optimal strategy change? If there's a big asymmetry, explain its source. As for wondering why a straight up majoritarian approach isn’t always the best legislative approach, Will Wilkinson has a good post on how simple head counting systems excludes any measure of the intensity of the voter’s preferences. Alex Tabarrok makes a very important point about some of Obama’s plans to help the middle class. Moreover, once an economy is in the insider-outsider equilibrium it's very difficult to get out because insiders fear that they will lose their privileges with a deregulated labor market and outsiders focus their political energy not on deregulating the labor market but on becoming insiders--see Blanchard and Summers on hysteresis in unemployment and more recently Larry Ball here. Many European economies found themselves stuck in the insider-outsider equilibrium and as a result unemployment levels in places like France and Italy hovered at 9% or more for decades. This is a neat explanation of the type of second order effects that people who are only trying to help usually tend to ignore. Surprisingly, even Brad Delong agrees that creating an insider-outsider dynamic is bad. The insider-outsider dynamic is even worse when it is the outsiders who are doing jobs that are the most productive. Garett Jones points out that the effect of workers queuing for the higher paying insider jobs also exacerbates unemployment. In a follow up to yesterday’s post, here is an analysis of what is currently driving sovereign risk. Net liabilities as a percent of GDP have a relationship with current CDS spreads. The 2010 OECD projected government fiscal balance also has a relationship with current sovereign CDS spreads. With the dependant variable being the current CDS spreads. I didn’t use the fiscal balance factor because it is too correlated with the other explanatory variables. 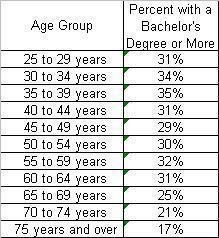 The results are in the chart below. The relationship is even cleaner if the net liabilities variable is set to zero when the variable is negative. While there are other factors that are mentioned in the headlines everyday that are also driving these CDS prices, it is interesting how a few variables can neatly explain the market’s current view of sovereign risk. The investment commentaries from Bill Gross are always interesting and worth reading. This month’s investment outlook focuses on the greater public indebtedness that follows financial crisis and the relative abilities of the respective governments to absorb this increase in debt. These examples tend to confirm that banking crises are followed by a deleveraging of the private sector accompanied by a substitution and escalation of government debt, which in turn slows economic growth and (PIMCO’s thesis) lowers returns on investment and financial assets. The most vulnerable countries in 2010 are shown in PIMCO’s chart “The Ring of Fire.” These red zone countries are ones with the potential for public debt to exceed 90% of GDP within a few years’ time, which would slow GDP by 1% or more. The yellow and green areas are considered to be the most conservative and potentially most solvent, with the potential for higher growth. This chart uses gross data for debt, while the net debt is a much better indicator of their ability to service debt. The rich man who has debt equal to his annual income is not said to be poor if he also owns enough assets. He may have to sell some of those assets to make good on his debts, but the debt holder should be much more worried about the man who is deep in debt without off setting assets. The underlying structural deficit is used instead of the public sector debt to give us a better idea of whether a country is paying for past mistakes (already measured in net financial liabilities) or its current mistakes. The chart below uses 2010 projections from OECD Economic Outlook No. 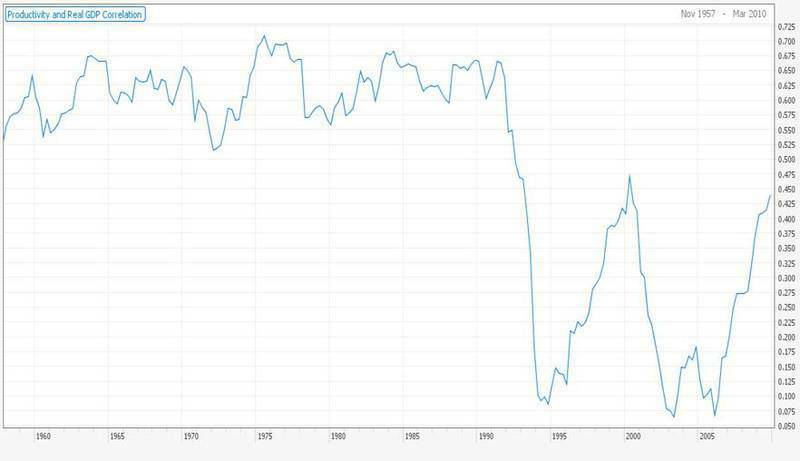 86, with adjustments to Greece’s data. Under net analysis, a few things stand out. Norway’s position is much better than any other country, especially when considering that their financial balance on the year is actually positive when petroleum activities are included. Italy also looks like it is at least in the process of getting its house in order as they already have a underling structural surplus. Though still in the danger zone, Japan’s net debt position isn’t nearly as bad as its gross debt first appears. 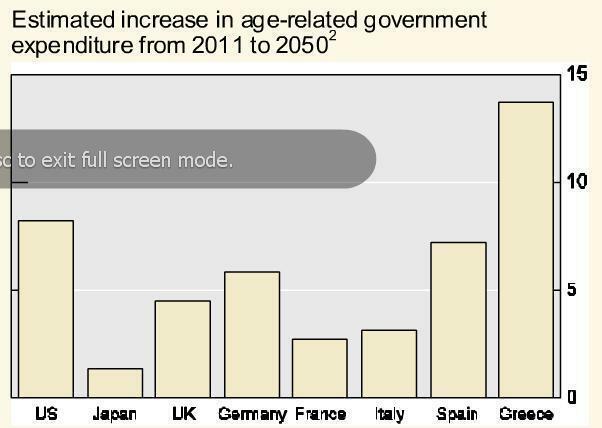 The BIS presentation mentioned yesterday contains a chart on slide 7 which shows that Italy, France and Japan have policies that limit the fiscal impact of their aging population compared to other countries. Net or gross, either approach is better than an investor believing that the efficient market will take care of things and all developed countries should be viewed equally from an asset allocation perspective. The previous post was a bit light on data, so this post is going to make up for that by giving the reader an overview of the data. The DOJ has a lot of interesting crime related statistics and is the source of these charts. Imprisonment rate has been going up, but it decelerated recently. Motor vehicle theft is down. Homicide rates have been dropping recently, but they are not back toe their 1900 levels. Public order crime (which include weapons and immigration) and drug crimes have been on the rise. With the recent drop in crime, the police have become more efficient in terms of making more arrests per crime committed. There are certain ideas that are politically incorrect as well as too simple for it to be a respected opinion. A great example of an idea that is true and that people don’t like to think about is that one of the biggest reasons for crime's decline is more people in prison. In his book why crime rates fell, Tufts University sociologist John Conklin concluded that up to half of the improvement was due to a single factor: more people in prison. The U.S. prison population grew by more than half a million during the 1990s and continued to grow, although more slowly, in the next decade. Go back half a century: as sentencing became more lenient in the 1960s and '70s, the crime rate started to rise. When lawmakers responded to the crime wave by building prisons and mandating tough sentences, the number of prisoners increased and the number of crimes fell. Common sense, you might think. But this is not a popular conclusion among criminologists, according to Conklin. "There is a tendency, perhaps for ideological reasons, not to want to see the connection," he says. Incarceration is to crime what amputation is to gangrene--it can work, but a humane physician would rather find a way to prevent wounds and cure infections before the saw is necessary. Prison is expensive, demoralizing and deadening. "Increased sentencing in some communities has removed entire generations of young men" from some minority communities, says San Francisco police chief George Gascón. "Has that been a factor in lowering crime? I think it probably has. I think it also probably has had a detrimental effect on those communities." Contrast this with the treatment generally gets in intellectual circles. Malcolm Gladwell prefers to focus on how tipping point type policies decreased crime in New York and Steven Levitt is willing to be politically incorrect with his abortion theory, as long as he is being politically incorrect in an impressively roundabout manner. The prisoners per capita coefficient in Levitt and Donohue’s paper was larger for property crime and murder, with subsequent research shower that it and not the abortion measure maintained its significance when per capita crime instead of total crime was measured. This type of straightforward analysis of “More people likely to commit crimes in prison means less crime is committed” doesn't get much play in the popular press because being both politically incorrect and simple; it isn't a very high status point of view. The only time the idea gets play is when the prison population needs to be reduced and citizens worry what this might mean for crime. Recognizing a fact is not the same thing as applauding all of its implications. The drug war, which is in large part responsible for the increase in prisoners, is also responsible for a large increase in drug related property and violent crime. Has the US been short changing education spending? When people talk about education in the US, the one idea that receives almost unanimous support is that we need to spend more money on education. Historical data from the BEA and the UN World Population Prospects Database show that educational investment has been rising at the same time the student age population has been shrinking relative to the working age population. When looking at per pupil aged growth rates, the change was rather extreme in 60’s and 70’s when more women and minorities started getting access to college and has since evened out with the spending per pupil increasing at the rate of GDP. Considering that the population is growing, this means that education spending is rising faster than GDP. Education spending has held up over time, with the amount spent on the student aged population rising with GDP. Whether or not more education spending is needed depends on whether education spending is growing aggregate human capital or if the marginal education spending is more related to signaling and status.